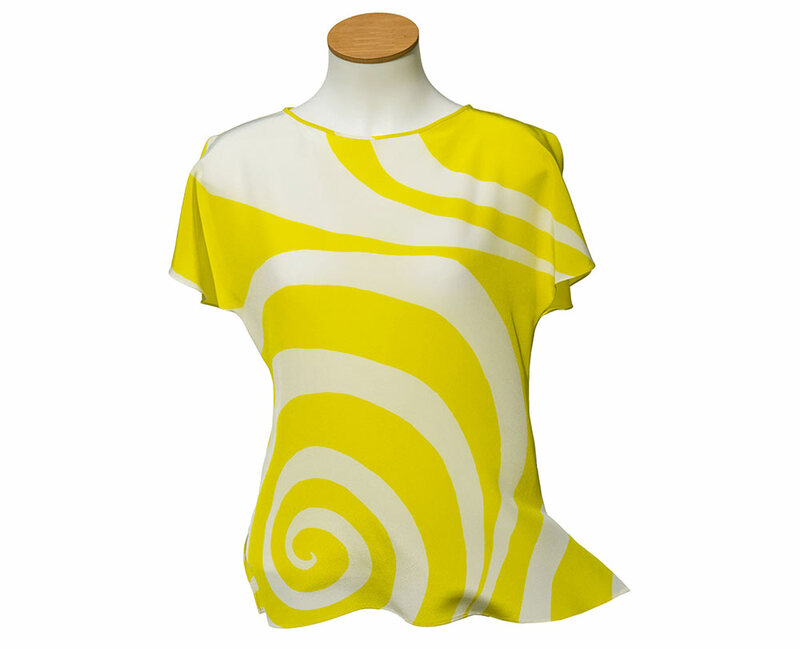 Yellow and White Swirls - Short Sleeved Silk Shirt for Ladies, by Kitty Arden. 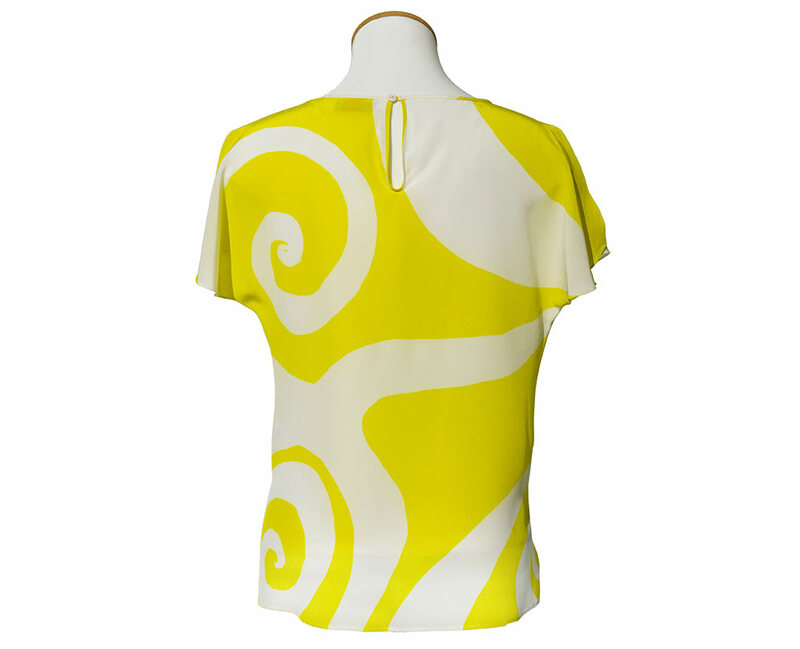 Silk Crepe de Chine. Tailored but loose fit, covers waist.